Tobacco conglomerates that used colors, flavors and marketing techniques to entice children as future smokers transferred these same strategies to sweetened beverages when they bought food and drinks companies starting in 1963, according to a study by researchers at UC San Francisco. 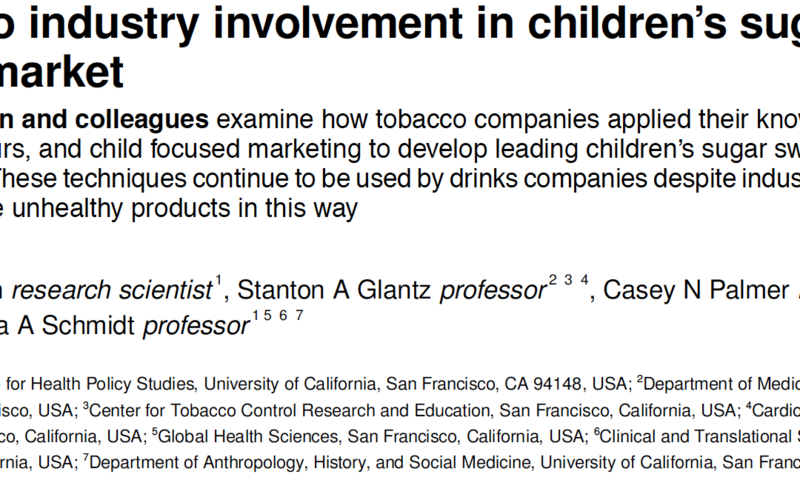 The study, which draws from a cache of previously secret documents from the tobacco industry that is part of the UCSF Industry Documents Library tracked the acquisition and subsequent marketing campaigns of sweetened drink brands by two leading tobacco companies: R.J. Reynolds and Philip Morris. It found that as tobacco was facing increased scrutiny from health authorities, its executives transferred the same products and tactics to peddle soft drinks. The study publishes March 14, 2019, in the BMJ. American youth currently consume an average of 143 calories a day in sugary beverages, according to the Centers for Disease Control and Prevention. These calorie-dense drinks do not provide the satiety of foods and are associated with obesity and metabolic syndrome, a cluster of conditions that increase the risk for heart disease, stroke and Type 2 diabetes. Sugary beverages include most fruit juices, sports and energy drinks, soda and other beverages sweetened with added sugars, including honey, fructose, glucose, sucrose, dextrose, corn sweetener, malt syrup, corn syrup, brown sugar and raw sugar. The new papers, which are available in the UCSF Truth Tobacco Industry Documents Library, a subset of the UCSF Industry Documents Library, reveal connections between the tobacco and food industries. 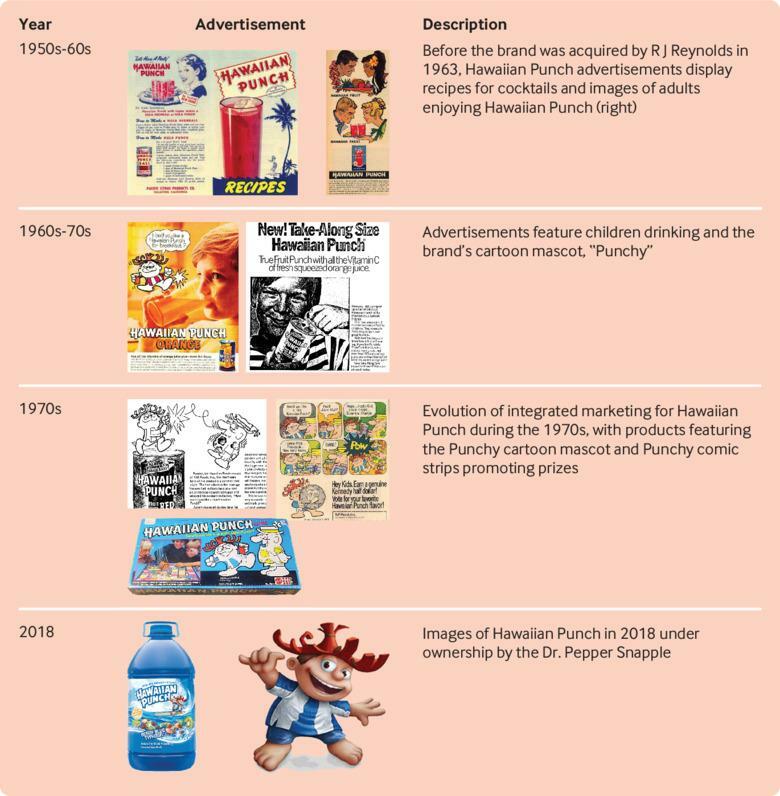 Tobacco giant R.J. Reynolds led the transition to sweetened beverages in 1963 when it purchased Hawaiian Punch from Pacific Hawaiian Products Company, according to the documents. The beverage previously had been promoted to adults as a cocktail mixer, but R.J. Reynolds sought to beef up the drink’s “Punchy” mascot – a counterpart to the “Joe Camel” cartoon character the company used to promote cigarettes – and featured it on toys, schoolbook covers, comics, tumblers, clothing and TV commercials. Punchy became the “best salesman the beverage ever had,” according to tobacco industry documents. In the ’60s and ’70s, the company conducted taste tests with children and mothers to evaluate sweetness, colors and flavors for Hawaiian Punch product line extensions. The children’s preferences were prioritized, the authors noted. By 1983, R.J. Reynolds introduced the nation’s first juice box, marketed as a “handy little carton that comes with its very own straw.” This innovation was largely responsible for a 34 percent jump in sales, according to industry documents. Meanwhile, tobacco competitor Philip Morris had acquired Kool-Aid, via General Foods, in 1985. The company flipped its marketing audience from families to children, created its “Kool-Aid Man” mascot, and launched collaborations with branded toys, including Barbie and Hot Wheels. It also developed a children’s Kool-Aid loyalty program described as “our version of the Marlboro Country Store,” a cigarette incentives program. By 2004, Philip Morris had developed at least 36 child-tested flavors to its Kool-Aid line, of which some – like “Great Bluedini” – integrated colors with cartoon characters. The tobacco giant also acquired Capri Sun and Tang, and used similar child-focused integrated marketing strategies to drive those sales. The authors conclude that, given the current high rates of childhood obesity, there is a clear need to replace current industry-led voluntary standards with well-enforced government regulations on marketing sugary beverages to children. The UCSF Industry Documents Library was launched in 2002 as a digital portal for tobacco documents. Today, the library includes close to 15 million internal tobacco, drug, chemical and food industry documents used by scientists, policymakers, journalists and community members in their efforts to improve and protect the health of the public. Co-Authors: Stanton Glantz, PhD, from the UCSF Center for Tobacco Control Research and Education; Casey Palmer, MS, RN, from the UCSF Philip R. Lee Institute for Health Policy Studies. Funding: Laura and John Arnold Foundation, CrossFit Foundation, the National Cancer Institute. Disclosures: No conflicts of interest. About UCSF: UC San Francisco (UCSF) is a leading university dedicated to promoting health worldwide through advanced biomedical research, graduate-level education in the life sciences and health professions, and excellence in patient care. It includes top-ranked graduate schools of dentistry, medicine, nursing and pharmacy; a graduate division with nationally renowned programs in basic, biomedical, translational and population sciences; and a preeminent biomedical research enterprise. It also includes UCSF Health, which comprises three top-ranked hospitals – UCSF Medical Center and UCSF Benioff Children’s Hospitals in San Francisco and Oakland – as well as Langley Porter Psychiatric Hospital and Clinics, UCSF Benioff Children’s Physicians and the UCSF Faculty Practice. UCSF Health has affiliations with hospitals and health organizations throughout the Bay Area. UCSF faculty also provide all physician care at the public Zuckerberg San Francisco General Hospital and Trauma Center, and the SF VA Medical Center. The UCSF Fresno Medical Education Program is a major branch of the University of California, San Francisco’s School of Medicine. Please visit www.ucsf.edu/news. The fiber in real food is of two kinds: soluble, which is globular (e.g. beta-glucan, pectin, inulin, etc. ); and insoluble, which is stringy (e.g. psyllium, cellulose, chitin, etc.). You need both, as they do different jobs. The insoluble fiber forms a latticework (like a fishing net) in the duodenum, and the soluble fiber plugs the holes in that latticework. Together they form a secondary barrier on the inside of the duodenum, which prevents early absorption of mono- and di-saccharides, as well as other readily absorbable nutrients. Psyllium is an insoluble fiber. Alone It could form the latticework, but not plug the holes. Beta-glucan is a soluble fiber. It can swell and absorb water, but could not lay down the scaffolding. To get the benefits on delay of absorption, you would need both. Real food has both. Ingestion of either psyllium alone or beta-glucan alone could not form the secondary barrier. You need both. Could you put both into one pill? Perhaps. But the side-effects would be highly problematic. 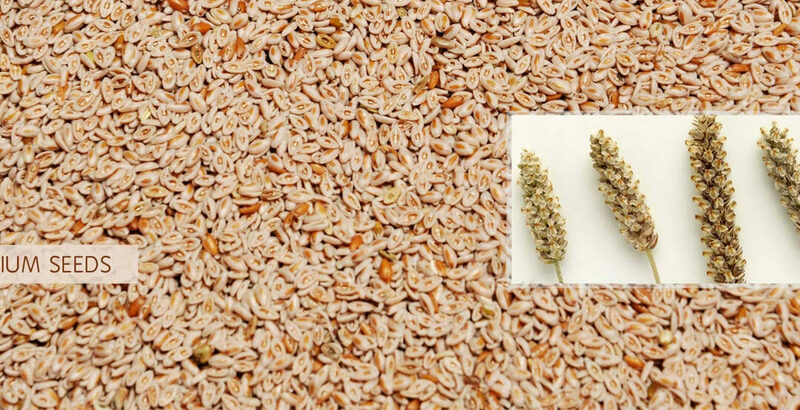 Psyllium is not compressible, so in order to lay down the latticework for creation of the duodenal barrier, you would have to take a high dose of psyllium. Furthermore, psyllium leads to loose stools, which is not disastrous, but is not pleasant. Beta-glucan swells with exposure to water and does not release the water causing severe bloating, distress, and diarrhea. It does not absorb macronutrients, just water. Furthermore, neither fiber gives up the water it absorbs, resulting in problematic and persistent GI distress. Intact fiber – as a whole food – has many benefits. Not just the short-chain fatty acids (SCFAs). In the processed food industry, the “germ” of the grain (the nucleic acids, flavinoids, polyphenols) is removed with the fiber. Keeping the fiber also means keeping the germ intact. 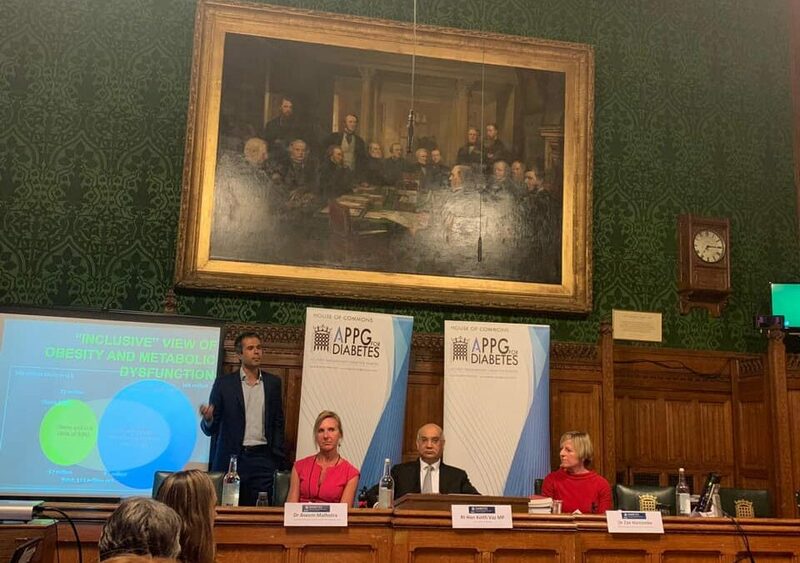 Dr. Aseem Malhotra addressed the European Parliament on February 26, 2019 – see the video recording to on the left side of this screen. You may view his powerpoint here as well. Dr. Malhotra pulls no punches. Mountain Dew Mouth has been the scourge of dentists for decades. But there’s a new disease which affects even more people: Mountain Dew Liver. Non-Alcoholic fatty liver disease (NAFLD) wasn’t even discovered until 1980; and now up to 1/3 of Americans suffer from it. Especially children – 13% of autopsies in children show NAFLD; and 38% of of obese children. 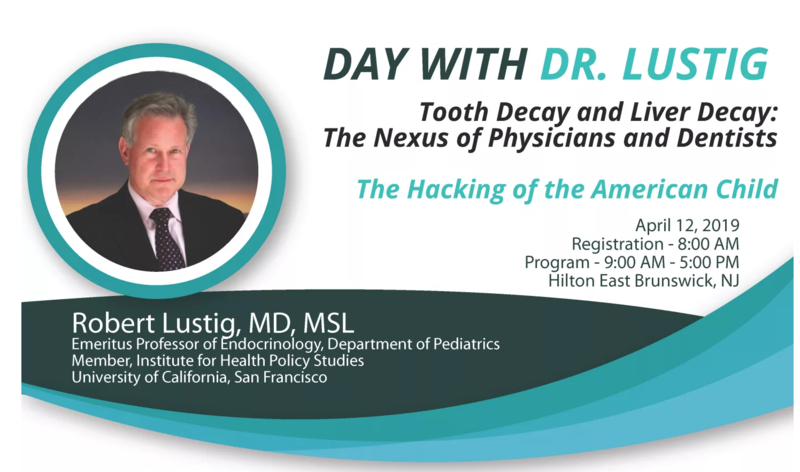 Both tooth decay and non-alcoholic fatty liver disease rates have increasing. And excessive sugar consumption explains both. Dietary sugar is composed of one molecule each of glucose and fructose. It is the fructose that is the primary driver of both diseases. While glucose contributes to the oral biofilm, fructose doesn’t. It is metabolized by oral bacteria into lactic acid, which readily diffuses though the biofilm and into the tooth. Alternatively, fructose gets turned into fat in the liver mitochondria, which drives NAFLD, which is the leading cause of liver transplantation now, surpassing alcohol. And yet who is most susceptible to both diseases? Children, because they are the biggest sugar consumers. Doctors and dentists must be united in supporting public health measures to reduce chronic disease. Altering our diet is where public health prevention starts. Everyone is looking down. But especially kids. There is something unnatural about a 15 month old using an iPad to soothe himself or herself. Everyone assumes this is just the natural progression of our “tech society.” But what if this is doing harm to us, and to our brains? And what if children are more vulnerable than adults? Numerous politicians are calling for “reigning in” of the internet. Is this necessary? 1) Is there such a thing as Tech Addiction? 2) Is it similar to or different than drug addiction? 3) Does technology lead to depression and suicide? 4) Have our minds been hacked? 5) Are children more at more risk? The answers to these questions provide us a blueprint to harness technology for good, and not for ill. The ADA just released its new guidelines for pediatric type 2 diabetes. The ADA just doesn’t get it. And I’m worried they never will. Their own words — it’s still about calories in, calories out. And in the nutrition section, it’s about weight loss and management. 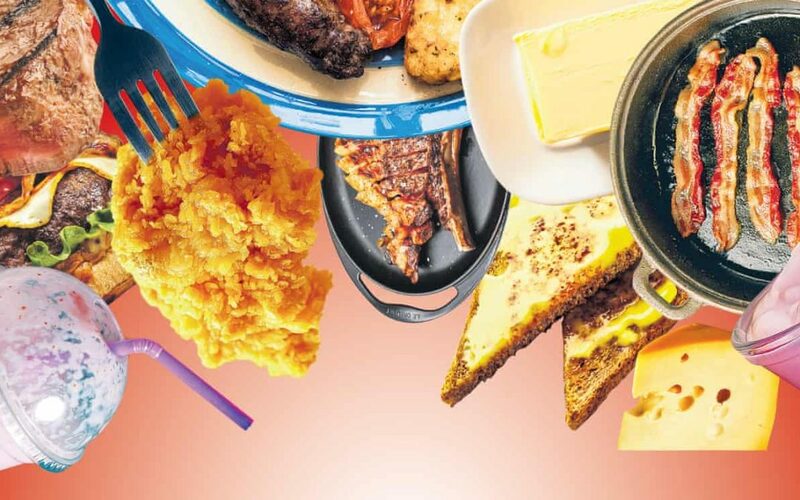 The words “diet” or “sugar” or “processed food” aren’t even mentioned. Forget that our group turned insulin resistance around in children just by getting rid of liver fat by replacing sugar with starch. Forget that Virta Health has reversed Type 2 diabetes with a ketogenic diet, to the point where they are changing their business model to put their profits “at risk” based on diabetes reversal. Worst yet, the authors are my Pediatric Endocrine academic colleagues. They should know better. I’m supremely disappointed in them. And all of this while insulin prices have soared into the stratosphere. The ADA is a “bought” organization. Bought by Big Pharma. It’s only about the money. It’s not about lives or health or society. This is extortion. 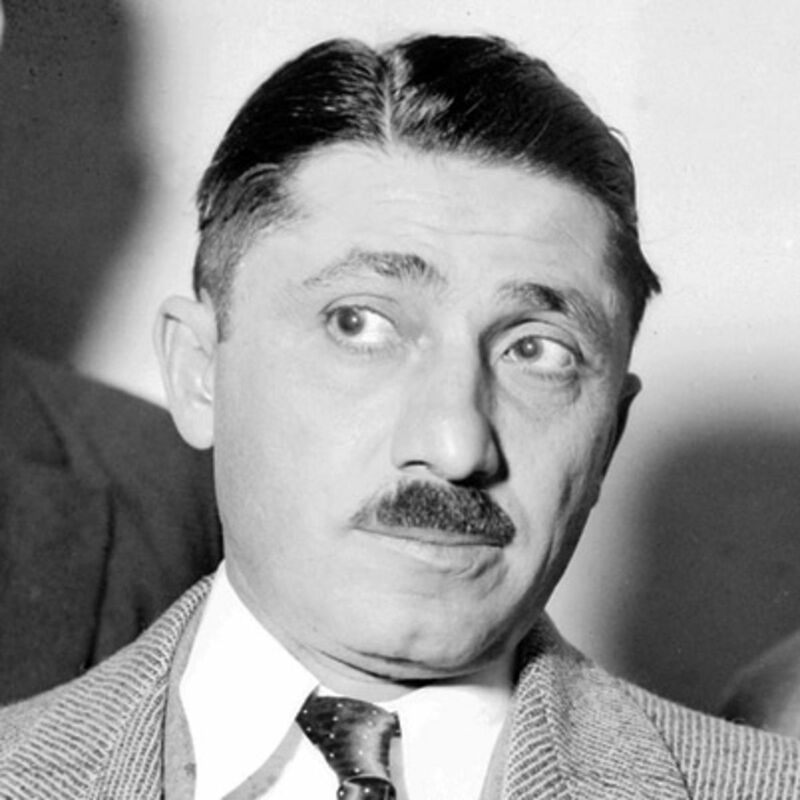 Big Food is Al Capone. 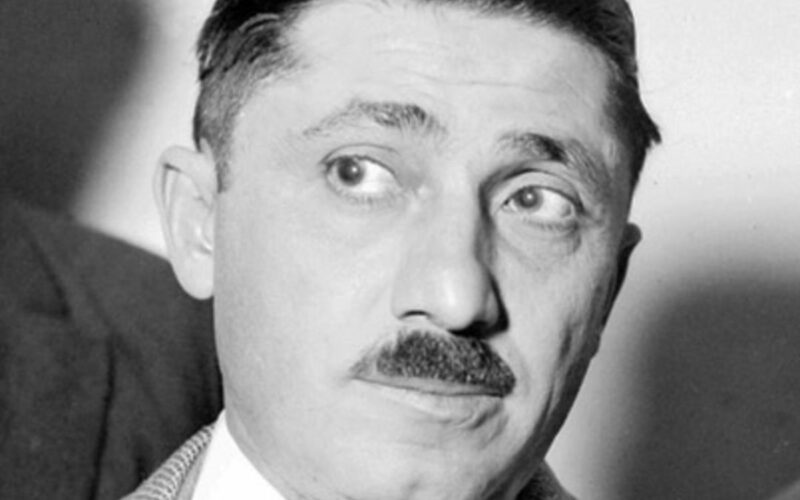 And the ADA is Frank Nitti, his henchman (photo above). The Guardian enters “The Butter Battle 2.0”. More heat than light. Here are the 10 things everyone need to know to navigate this minefield. LDL-Cholesterol (LDL-C) levels (from dietary fat) correlate (but poorly) with CV mortality. Triglyceride levels (from dietary sugar) correlate (much better) with CV mortality. LDL particle number (LDL-P) is the right measure for CVD, and higher is worse. But a standard lipid profile measures LDL-C, not LDL-P. Wrong test. Dietary fat raises LDL-C, but not necessarily LDL-P, while sugar raises triglyceride levels. Red meat is associated with increased CVD. But maybe not because of its saturated fat. In fact, dairy saturated fat is protective against CVD. If you have a super high LDL-C (over 200), then you probably also have a high LDL-P, and you might need a statin. If your LDL-C is between 70 and 200, maybe your LDL-P is high, but maybe it is not. Statins are not prescribed based on LDL-P; they are prescribed based on LDL-C. This is a bad idea, yet doctors do it all the time. 4/5 of the people taking statins were prescribed for high LDL-C. But this is the wrong reason. And 20% of statin takers get side-effects. That doesn’t mean you should stop your statin. But it also doesn’t mean you can eat butter without abandon. A doctor who knows what they are doing can figure your situation out. But most don’t know what they are doing; they do as they’re told. Martin on Ignore government guidelines to beat diabetes, obesity, heart disease and save NHS hundreds of millions, UK Prime Minister told. 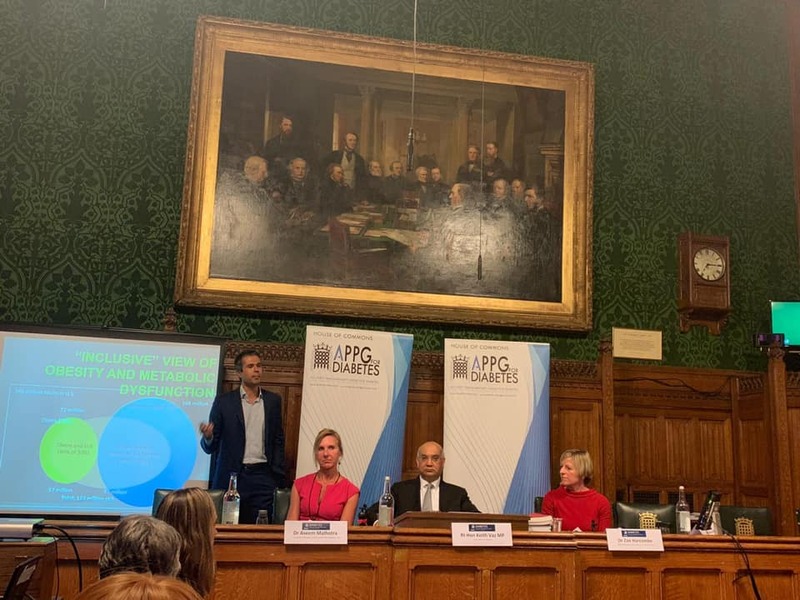 Cantor Daniel Pincus on Ignore government guidelines to beat diabetes, obesity, heart disease and save NHS hundreds of millions, UK Prime Minister told. 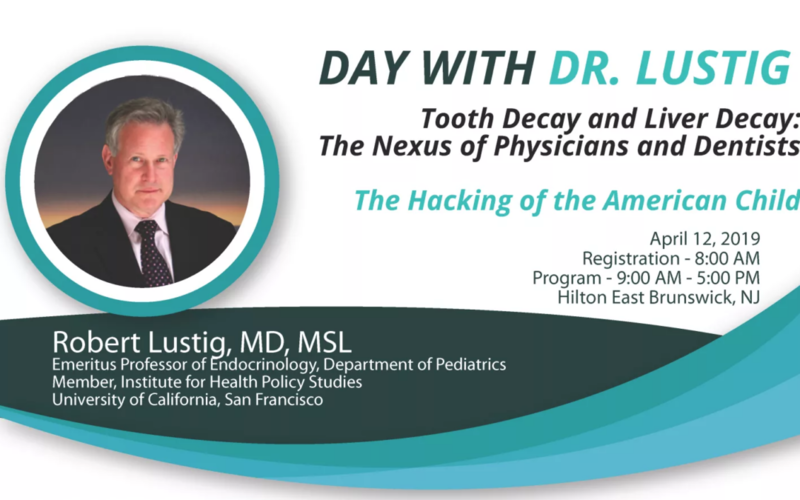 Pediatric endocrinologist Robert Lustig, MD, said in his keynote presentation at the 2012 Wellness Expo that consuming fructose is dangerous to health and causes obesity.